Tag Archive | "last thursday"
43 Dead After Tornadoes Hit Southern U.S.
On Sunday, officials said that the three days worth of vicious storms and tornadoes in the southern part of the country left 43 people dead and ruined hundreds of infrastructures. North Carolina suffered most with 22 people dead. More than 80 people were also injured in the series of tornadoes that hit the area Saturday night. Vehicles as huge as trucks were tossed around like toy cars, homes were flattened to pieces, and even airplanes were blown away off the tarmac. 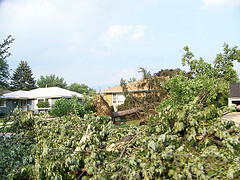 Power lines were also cut by uprooted trees and debris of ruined buildings. At present, more than 200,000 individuals in North Carolina are suffering from lack of electricity. Governor Beverly Perdue told reporters that this is the worst tornado damage that he has seen in North Carolina. He further said that there are 23 counties that are hurt really badly by the disaster – schools ruined, properties damaged, and infrastructures brought to the ground, among many others. U.S President Barack Obama already pledged that the government will do everything to rebuild the state. Two nuclear reactors in Surry Power Station shut down automatically Saturday night, said Dominion Virginia Power. However, they said that both reactors are in stable condition and that their backup generators are working properly. The storms started last Thursday in Oklahoma and moved to many other states in the South. Over the weekend, as much as 241 tornadoes were accounted but only 50 were confirmed. Alabama, Arkansas, Oklahoma, and Mississippi also suffered from the incident. On March 23, Lindsay Lohan is expected to decide between accepting a plea that will send her straight to jail or go to trial regarding a supposed necklace theft. The judge broke the news last Thursday. Shawn Holley, defense lawyer of Lohan, should inform the court of Lohan’s decision two days before the hearing on March 25th before Judge Keith Schwartz, the Superior Court Judge of Los Angeles County where the trial is being held. Should Lohan plead not guilty, the preliminary hearing will push through on Aprill 22nd. Judge Keith Schwartz said on the February 23rd hearing that if Lohan pleads in front of him, she is definitely going to jail. Minus the grand theft case, the actress is also in violation of her DUA (Driving Under the Influence) probation. The 24 year-old Lindsay Lohan is accused to have stolen a necklace priced at $2,500. In California, a person charged with grand theft is to serve prison for at least 16 months but not more than 3 years. A theft is considered to be under the grand theft category if the total price of stolen goods exceeds $950. The store owner of Kamofie and Company where the alleged necklace was stolen said Wednesday that they are planning to sell the necklace in an auction and give the proceeds to a charity. Sofia Kaman added that she would prefer if the money will go to a charity devote in fighting similar cases. 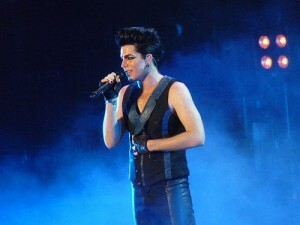 Adam Lambert, singer and actor from California, made a recent comeback on “American Idol” last Thursday. He performed his acoustic version of the song “Aftermath” on the same stage that brought him to fame a couple of years ago. Earlier this year, several Adam Lambert fans have started to question when his new version of the song “Aftermath” will be released. Rumors have leaked passed Lambert’s birthday party in late January. Since then, few details have been released about the former “American Idol” contestant’s song. On Thursday, Lambert returned to “American Idol” to perform the acoustic rendition of “Aftermath.” According to Lambert, the message of the song is about being true and honest to one self and to others. He said, it is about overcoming a difficult decision or taking the steps no matter how scary that is. With the release of his song “Aftermath,” Lambert also helps an organization dedicated to prevent suicide among youths. For every download sold, the song’s proceeds will go to The Trevor Project. This provides life-line to several kids and teens on LGBTQ. During an interview held after Lambert’s performance on “Idol,” he also commented on the recent issues involving Lady Gaga and her actions on the LGBT policy. He believes everyone has the right to do what he or she wants. But, he still thinks Lady Gaga is fantastic and that she has been doing great. Lambert’s latest single “Aftermath” remix can be purchased exclusively on his official website. The song has a much more “dance” feel than the first version recorded for Lambert’s “For Your Entertainment” debut. 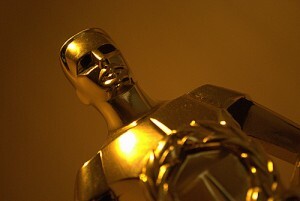 For the first time, Anne Hathaway and James Franco will host the Academy Awards. However, neither star showed any signs of nervousness during their TV interview last Thursday. Yet, with the ceremony just a few days away, they appeared completely at ease. They were joking around, spilling some show rumors and even creating others. Franco even quipped they we’re dating. The two actors were taking a break from the rehearsals last Thursday when they had a three-minute round of back-to-back interviews. They refused to tell anything particular about what they will do on the show. But, they did share a few secrets. According to the actors, the writer of the show gave them a celebrity nickname called ‘Francaway.’ Hathaway, who was asked who she will root for the Oscar night, said hosts are not allowed to have favorites. Although they had never worked together before, both actors said they have immediate chemistry. Hathaway also mentioned that her co-host inspires her, which makes her think what it actually means to be an artist. Franco then, is not worried about the pressure on the big show. Hathaway and Franco are both excited to get the chance to host at the Academy Awards, which will be held at the Kodak Theatre on Sunday. The event will be broadcast on ABC network. Former dealers of the Chrysler group sued the government of United States last Thursday. The sixty four dealers said the administration of President Obama violated their rights since they did not give any compensation when it closed their stores at the time of the automaker’s bankruptcy. The dealers filed a complaint at the U.S. Court of Federal Claims located in Washington. Based on the given complaint, the government owes the dealers a minimum of $130 million in damages as a result of the stores’ shutdown. In April 2009, the Chrysler group filed for bankruptcy and in May 2009, it sent closure notices to its 789 stores, or 25 percent of its dealers. It was part of the government-funded restructuring in United States. 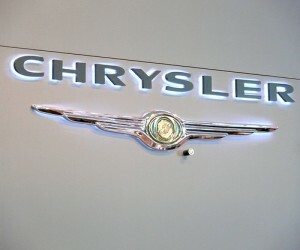 The Treasury Department said in May 2009 that the store closures were essential to assist Chrysler recover from its near-collapse and that it took no part in deciding which dealers and how many of them would close. This time, the Treasury Department refused to comment. From the given court papers filed last Thursday, the dealers said the Obama administration furnished its authority under the control of the Troubled Asset Relief Program to evade franchise laws in the state that is intended to protect dealers. Chrysler dealers said they had millions of expenditures on training, inventory, as well as marketing to aid sell Chrysler vehicles. The sixty-four dealers came from several states across the country such as Texas, New York and California. Today, 25 percent of the company is managed and owned by Italy’s Fiat SpA. A Los Angeles judge granted Charlie Sheen and wife a divorce last Thursday. However, they still have to wait three months until it becomes official. Charlie Sheen and Brooke Sheen both filed divorce petitions in court last November 2010. They stated December 25, 2009 the day they broke up, which was the date Charlie Sheen was detained in Colorado because of alleged domestic violence against his wife. 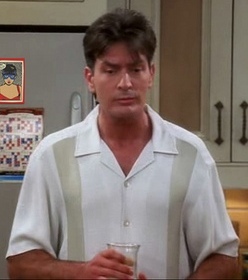 Judge Hank Goldberg used Charlie Sheen’s petition in court. He approved Sheen’s divorce petition against his wife. However, since divorces in California can only become legal once six months have passed, the former couples still have to wait until May 2 for them to become legally separated. Before their wedding in May 2008, the Sheens made a prenuptial agreement that required Charlie Sheen to compensate Brooke Sheen an amount in excess of $750,000. Court record shows the actor will keep their home in Hollywood Hills, but other royalties will be divided to both parties. Legal custody of their twin sons will be shared. Brooke Sheen has been granted with physical custody while considerable visitation time is given for the actor. Charlie Sheen is obliged to pay $55,000 per month for child support based on the agreement filed in court. The verdict comes after several chaotic months for the actor. His show “Two and a Half Men” was postponed while he received treatment for conditions not specified. He has been admitted in the hospital three times in the past months. The actor has expressed gratitude to his fans and employers for their continued support. He is hoping to begin taping “Men” later this month, his spokesman said.